There's a new challenge today on A True Friend - this time it's all about resolutions. 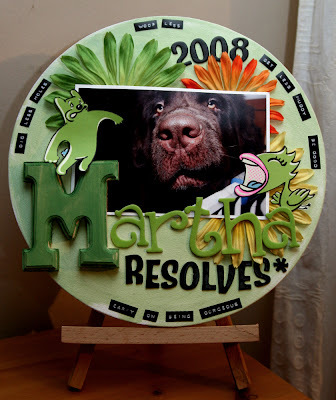 Here's my page, actually it's a canvas, of Martha's resolutions (wishful thinking on my part!) i'm pretty sure her resolutions would be the exact opposite of most of them! !